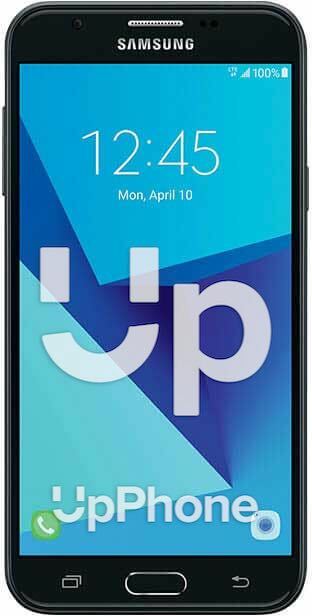 Samsung Galaxy J7 Sky Pro Price, Review, Deals, Cost, & Sales! Home / Compare Cell Phones / Samsung Galaxy J7 Sky Pro Price, Review, Deals, Cost, & Sales! The Samsung Galaxy J7 Sky Pro is a mid range phone with a 5.5" display, 8 MP camera and a 3300 mAh battery. The J7 Sky Pro comes with a 5.5" IPS screen with 720 x 1280 resolution, pixel density of 267 PPI. In comparison, the Samsung J7 has a 5.5” Super AMOLED screen with 16M colors and 720x1280 pixels. This device is built with an 8 MP main camera capable of recording 1080p videos. It also has a 5 MP front camera. For the onboard drive, the J7 Sky Pro has 16 GB with support for up to 128 GB via microSD. While the Samsung J7 has the same 16 GB but supports up to 256 GB via microSD. This phone is equipped with a single side firing speaker. It has good audio but not as loud as you want them to be. This device runs on a Qualcomm MSM8953 chip with four cores clocked at 2GHz. Performance is good but with noticeable lag when using heavy applications. While the Samsung J7 runs on Qualcomm MSM8939 Snapdragon 615 Exynos 7580 and has eight cores. Powering the device is a 3300 mAh battery which is pretty big considering its screen size. Talk time can last for up to 31 hours and standby time for up to 528 hours. It has no fast charge nor wireless charging. Pressing the home key three times will launch a minimized display for one handed operation. The S7 Sky Pro has an FM radio. This phone still uses microUSB 2. This S7 Sky Pro has Bluetooth 4.1.